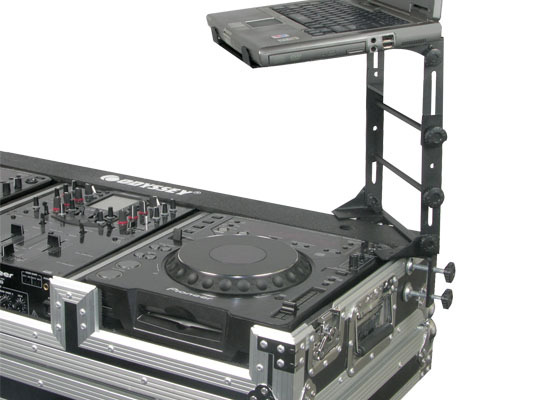 Odyssey LSTANDM DJ Stand Folding Laptop Stand DJParts - All Variety of Parts that DJ Needs. Description: L STAND MOBILE - Finally, the digital DJ STAND you have been asking for; Odyssey's folding DJ LSTAND MOBILE. The Odyssey LSTAND MOBILE is a light and portable stand to place your laptop, CD Player/Controller, EFX/Drum machines or lighting controller. Odyssey's LSTAND MOBILE comes complete with stand alone legs for a table top configuration and clamps so it can be attached to the edge of a table or the wall of your case just the way you like.